Brian Goertz, Terry Wieting, and Andrew Arhart, pictured left to right, are excited to bring jobs to the city of Woonsocket. Terry Wieting is not in the business of fame and fortune. He is, however, in the business of surrounding himself with good people and helping them and others succeed. The 42-year-old Huron resident, a third generation South Dakota farmer who has engaged in a number of successful business endeavors, recently became the strategic managing partner for Max Muscle Nutrition, a nutrition and supplement company known for its integrity and quality of products. The company, founded in southern California by a former professional football player, was looking to expand into this region. According to the Council for Responsible Nutrition, the supplement industry is booming with more than two-thirds of Americans taking dietary supplements and three-quarters of U.S. physicians recommending their patients take supplements. This industry contributes approximately $122 billion to the U.S. economy with more than 750,000 jobs nationwide. Wieting, realizing the endless possibilities this could mean for his home state, decided to move the company to South Dakota. Corporate offices and a modest warehouse are already operational in Sioux Falls with plans to expand and grow. Wieting’s purchase in January of the 144,000 square-foot building, formerly known as Van Dyke’s Taxidermy Supply off Highway 34 in Woonsocket, means jobs are coming to town. One of those “good people” is Brian Goertz, 41, of Huron. Goertz is the Woonsocket facility’s new plant manager. His and Wieting’s children attend James Valley Christian School together and Goertz even worked at the plant when it was Van Dyke’s. The facility is currently being modified and retrofitted to support its new owner. 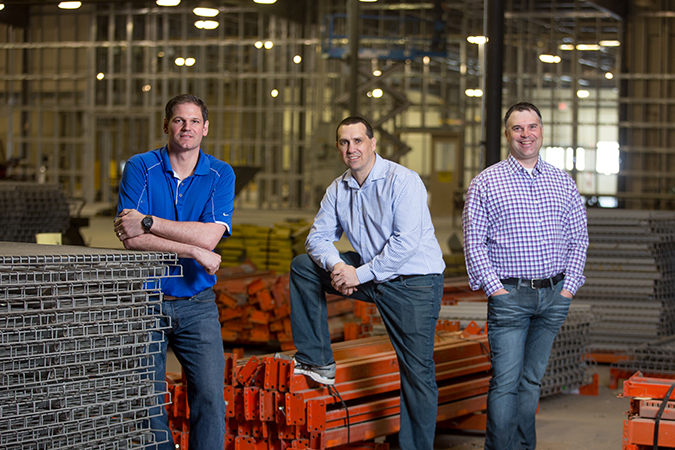 Wieting and Goertz hope to be hiring a handful of positions by summer. “Since I have worked down here before, I’m familiar with the work force and I know that the work ethic is really great,” said Goertz, whose wife, Shelly (Ogle), grew up in Woonsocket. Another one of the “good people” Wieting surrounds himself with is longtime close friend and strategic business partner, Andrew Arhart, 44, of Alpena. Arhart had been working on losing weight when he heard an ad for Max Muscle Nutrition on the radio, so he decided to stop by the Max Muscle Nutrition franchise while in Sioux Falls, which is where he met the owner, Jon Petersen. After several months of working with Peterson on Arhart’s weight loss and nutrition plan, the two got to know each other well, and started talking business. Peterson confided in Arhart that he and his business partner, Christopher Holman, were developing a unique software application for the nutrition industry, and they were looking for the right financial investor, one with vision and passion, and Arhart knew right away that Terry Wieting would be a good fit. Arhart, who is a fourth generation farmer and has served on multiple boards, set up a meeting for Wieting and Petersen. Wieting decided he wanted to get onboard but he wanted to invest in more than just the software application. He wanted to gain managing control of Max Muscle Nutrition and its franchises across the United States. Petersen set up a meeting for Wieting in California and the rest is history. Wieting’s plans for the building in Woonsocket begin but do not end with warehousing and distributing top quality nutritional supplements in a safe, clean, and Food and Drug Administration (FDA) compliant facility. In addition, the research and development team is looking to find ways to leverage South Dakota agricultural production, including whey, soybeans, honey, corn, sorghum and livestock – particularly whey, as it is a main ingredient found in protein powder. Other goals on the horizon include partnering with South Dakota schools to provide nutritional education and coaching on healthier eating choices. Wieting said he believes he is on the right path and that all of this happened for a reason. 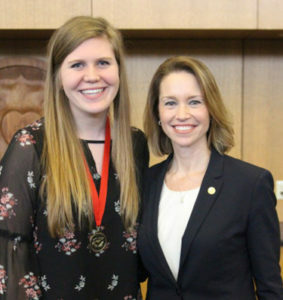 PICTURED IS Shelby Selland with Augustana’s president Stephanie Herseth Sandlin. Five students were recognized for their exemplary commitment to the values of Christian faith at Augustana’s 2018 Covenant Award ceremony, held Friday on campus. The ceremony was part of Verdier 2018, a week-long celebration of the core values that serve as the foundation for Augustana’s academic and student life programs. An Augustana tradition, the Covenant Awards are named in honor of each of the University’s five core values: Christian, Liberal Arts, Excellence, Community and Service. A committee of faculty and staff review nominations from the entire campus community. Shelby Selland was chosen from the eight students that were nominated for the Covenant Award for Liberal Arts by faculty and staff and voted on by the committee. CorTrust Bank and the South Dakota Bankers Foundation are pleased to award $19,000 in scholarships to high school seniors who will be attending a post-secondary school in South Dakota. 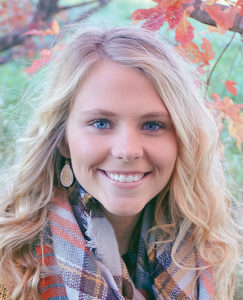 Sarah Morgan was one of the recipients who will receive a $1,000 scholarship.